I am a PHP & WordPress developer and just shifted to mac first from windows than Linux. More or less I know that OSX is a Unix-based command line. Now I need Pear to get installed on my Mac to install Phpcs for code formatting and code standardization. I searched a lot and found many tutorials but seems non-work well for me so after gone through deep google search and exploration for pear installation on mac. I thought why not to make one specific helpful tutorial for mac beginner. How to Install Pear package on Mac? To Install pear on mac OSX the following step needs to get followed. Step 3: Use curl as shown below to download the go-pear.phar file or just download the go-pear.phar file via your browser. Then, you will need to change the Binaries directory. Type 4, and then press Enter. 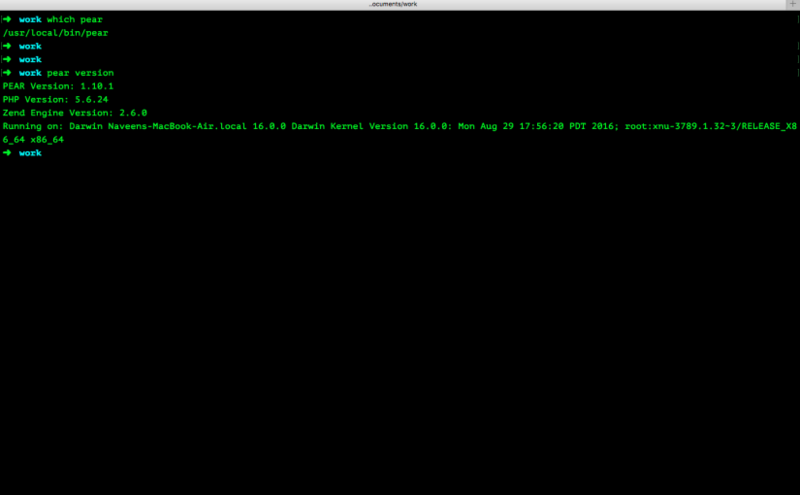 Step 5: Once you have changed the Installation Base and the Binaries Directory, press Enter to install PEAR. you can add this in your .bash_profile which is an invisible file in your home directory. Don’t forgot to change username with your username in export path of pear. you will get installed pear version on terminal.